Keep children moving while learning with daily, quick and creative physical activities. Ideally, kids should have two to three active play times every day. Instead of thinking of exercise as a separate scheduled activity, just try to weave quick “moving” moments throughout the day. 1,2,3,4: Hip, Hop, Move: Use this Caribbean-inspired dance to help young children count to four. 5 W’s: Who? What? Where? When? Why? This activity incorporates reading comprehension with movement. Back to Sleep, Tummy to Play: This article emphasizes that while tummy time is important, babies are safest on their backs while sleeping. Learn more about how to engage infants during tummy time. Color Me Healthy Sing & Dance: Color Me Healthy music gets children up and moving to a fun and happy beat. Download songs (MP3 format) and lyrics (PDFs) and dance to the tune of Color Me Healthy. The Color Me Healthy program also includes a teacher’s guide with 12 circle time lessons (including picture cards), parent newsletters (in English and Spanish) and five colorful posters. Dance Activity: This activity gets kids dancing in silly ways — sometimes moving just their knees, thumbs or elbows. 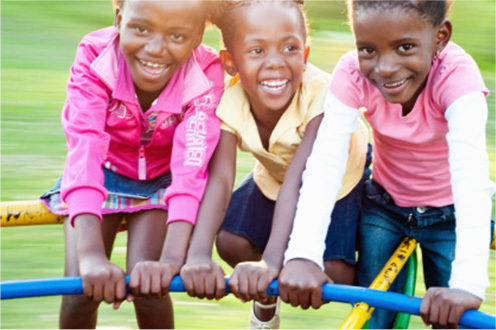 Early Childhood Resources: SHAPE America early childhood resources teach the importance of physical activity for young children. They offer a variety of activity ideas, strategies, information and guidelines to use the space and materials you have, and how to model and encourage healthy habits and physical activity. Fitness and Toddlers (KidsHealth): Kids this age are walking and running, kicking, and throwing. They’re naturally active, so be sure to provide lots of chances for children to practice and build on these skills. Get Moving Today Calendar: A start-anytime, reusable calendar from Head Start Body Start which has fun, simple physical activities to do everyday with preschoolers. GoNoodle Plus: Indiana’s Division of Nutrition and Physical Activity (DNPA), in partnership with school administrators, district wellness coordinators, and Go Noodle, provides access to the classroom-based online physical activity platform called Go Noodle Plus. With a combined potential reach of 4,510 students across 11 schools, the initiative aims at increasing students’ daily physical activity. Hands-On Activities for Child Care: Search or browse hundreds of hands-on, ready-to-do activities for movement and physical activity for young children. Head to Toe, Letter ‘O’: Fun rhymes and movements teach young children about healthy foods. Healthy Habits for Life: Get Moving: The Healthy Habits for Life Child Care Resource Kit gives you the tools you need to teach children about eating right and being physically active so that they can establish healthy habits for life. This section offers easy and fun ideas and activities to get kids moving. Let’s Get Ready to Learn: Capture preschoolers’ attention and get them moving at the start of the day with this chant. Non-Competitive Active Games for Preschoolers: A job aid from Child Care Aware® of America (formerly NACCRRA) which includes tips for making some traditional games non-competitive. Preschooler Activity Calendar (Alberta Health Services): This calendar has ideas for children from 3 to 5 years old and has been created to provide an activity to try with your children every day. These activities do not require a lot of time, materials or preparation so you can fit them into your daily routine. Rainy Day Physical Activities for Toddlers and Preschoolers (National Food Service Management Institute and The University of Mississippi): What to do when outdoor play is unavailable? This resource provides a variety of indoor physical activities to get children moving and having fun—from very simple play for toddlers and infants, to more challenging activities for preschoolers. Safe Exploring for Preschoolers (KidsHealth): Kids ages 3-5 have tons of energy and are eager to walk, run, dance, and play. It’s a great age for exploration too. Preschoolers learn a lot when given the chance to investigate their environments (with supervision, of course). They can focus their energy and tackle more complex activities like playing dress-up, riding trikes, or planting seeds. We Have the Moves: This resource from Sesame Street provides fun physical activities for both large and small spaces that require minimal time and equipment. Discover easy ways to add more active play into everyday routines for children ages 2-5. Learn how you can play a vital role in making sure there is adequate support for health and physical education programs in your child’s school with SHAPE America. The National Resource Center offers ideas for incorporating physical activity into your early care and education center or family child care program. Child care provider Melissa Kress’ motto is “Stay on the move.” For physical activity, she has children race with colorful bean bags, play parachute games and go on nature walks. The children learn how to prepare healthy meals as well. For a Mother’s Day celebration, children make breakfast that includes fresh fruit and homemade waffles.